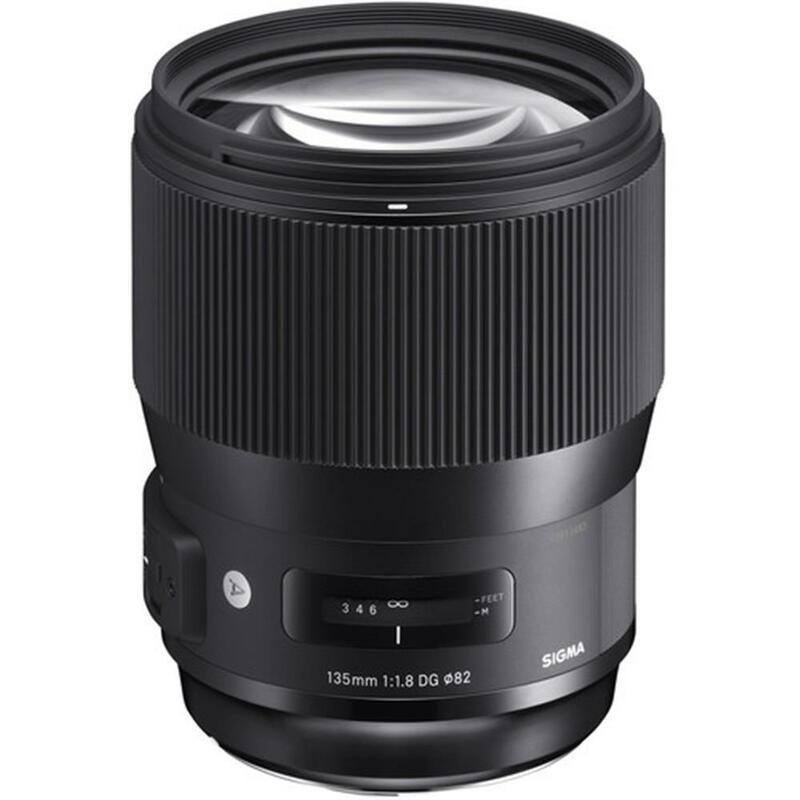 The Sigma 135mm F1.8 DG HSM Art is a medium range telephoto prime lens designed for modern high megapixel DSLRs. A large Hyper Sonic Motor (HSM) delivers ample torque to the focusing group for outstanding speed, ensuring exceptionally stable performance even at lower speeds. This state-of-the-art prime lens touts a dust and splash proof mount for guaranteed performance in any condition and its large 1.8 aperture allows for more creative control over imagery. 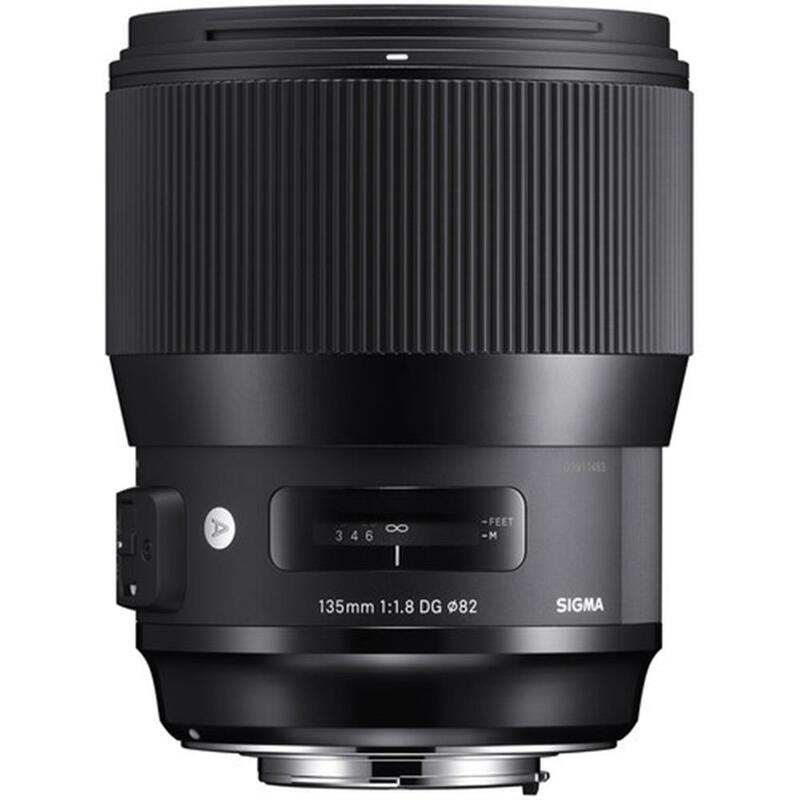 A stunning compression effect makes the Sigma 135mm F1.8 Art the ideal portrait lens, while its large aperture helps with event photography and much more. Introducing the ultimate 135mm telephoto featuring top-level performance. 135mm telephoto lenses are often categorized as the foundational telephoto, the first one to add to a lens collection. The focal length delivers a strong perspective compression effect, while the large diameter with F1.8 brightness provides a dramatic bokeh effect. This lens also offers the outstanding resolution required for 50MP or higher ultra-high-megapixel DSLRs. To deliver the ultra-high resolution that brings the best out of 50MP or higher ultra-high-megapixel DSLRs, the focus mechanism features SIGMA's floating system. No matter what the distance from the subject, this lens offers top performance from the center to the edges of the image. By minimizing distortion as well, the lens delivers impeccable image quality - no need for digital adjustment during image processing. The 135mm focal length delivers a stunning compression effect: even fairly close to the subject, the telephoto ring allows the photographer to establish a variety of dramatic perspectives. The compression effect truly shines in both close-ups and full-length portraits, making composition easy. Moreover, the large diameter with F1.8 brightness makes possible a body shot with an impressive bokeh background. In addition to an optimized power distribution, this lens features two SLD (Super Low Dispersion) glass elements and two FLD ("F" Low Dispersion) glass elements. These technologies help minimize chromatic aberrations, which tend to appear in the bokeh area outside of focus in portraits, as well as on slender objects such as fine branches. The end result is ultra-high resolution and clarity throughout the image, even at wide-open aperture. The large (HSM) Hyper-Sonic Motor delivers ample torque to the focusing group for outstanding speed, ensuring exceptionally stable performance even at lower speeds. Along with the optimized AF algorithm, this feature delivers fast autofocus photography. In addition, the focus limiter makes AF highly responsive to distance from the subject for even more nimble performance. 91.4 x 114.9mm / 3.6 x 4.5in.